There are two kinds of reactions that the local gulls have to windy weather along the coast. Most of them huddle together in the sand, facing the wind with resistance and determination not to be blown away or allow their feathers to get ruffled. 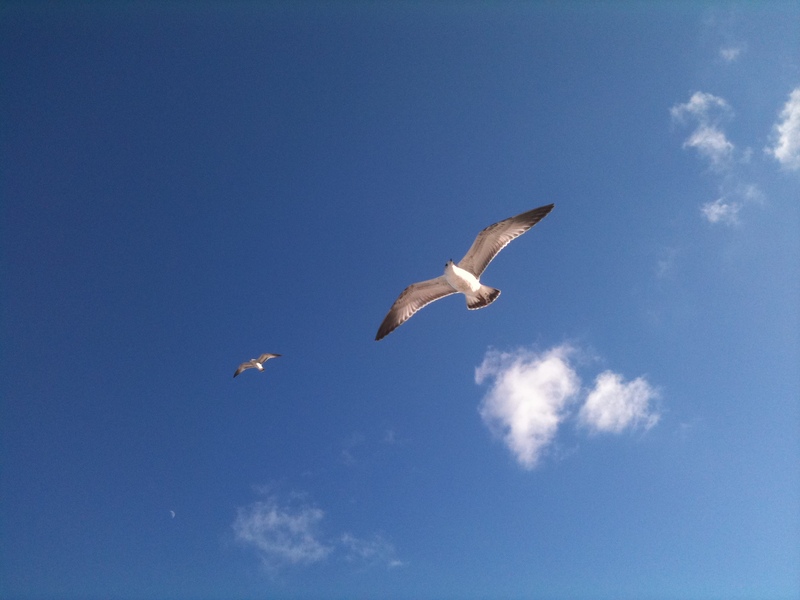 But a few abandon the sand and use their wings, not to resist the wind, but to interact with it. They play. There is nothing wrong with hunkering down. Sometimes battening the hatches and facing the storm is the only sensible approach. But there’s nothing creative about it. The creative ones are the gulls that see the wind as an opportunity and make the most of it. 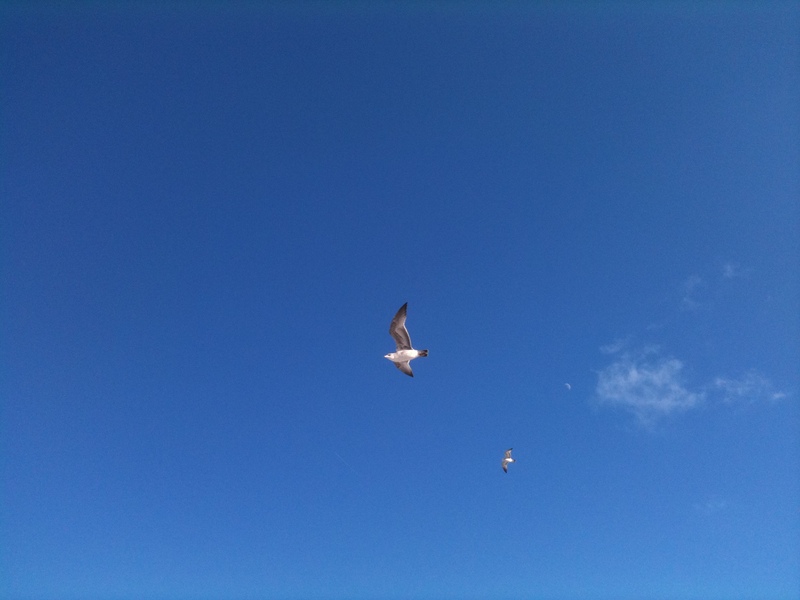 On a particularly blustery day this winter my husband and I stepped onto the beach and found ourselves directly under half a dozen gulls hovering just out of reach overhead. They weren’t going with the flow and being blown about. They weren’t fighting the current. Those gulls were managing the stream to suit their purpose. Not fighting the change, but allowing it to support them and enable their play. We stood there beneath them and watched as they experimented with the air, landed in the sand to rest, and then resumed their game of positioning themselves directly over our heads, at just the right angle to stop flapping their wings, stop moving a feather, and pause right there in midair. Look at me, they seemed to say. Watch this! 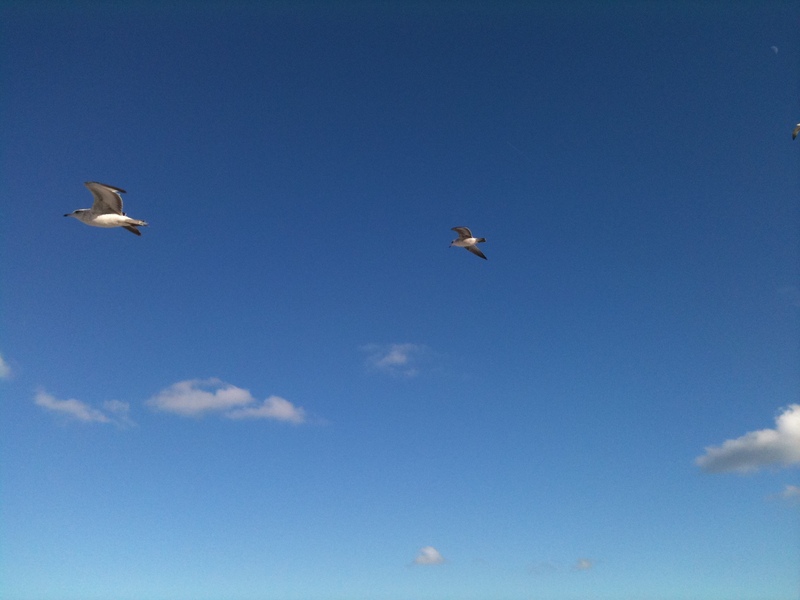 Now when I visit the beach on blustery days, I watch for gulls playing in the wind. I always find a few, though usually not as many as we watched that first time together. Whether it’s one or a dozen, however, the lesson is the same. When faced with adversity, we can hunker down until it blows over, or we can use what we’re given, manage it, manipulate it, and transform it to create something spectacular. Take every opportunity to soar. Oh my goodness. That is beautiful and very timely. Thank you! I completely agree. It would be a blast! This is a really excellent piece of writing. Thank you! I really appreciate that! This is one that has been begging me to write it for awhile but my earlier drafts just weren’t quite right. Glad you liked it!